Back to the premiership, after the international break, and an away visit to the Liberty Stadium looks difficult on paper. In the corresponding fixture last season, the result was a 0-0 draw. At the start of the international break, Liverpool were top of the league with three straight wins, so they are definitely the form side. 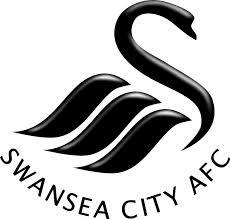 The Swans, on the other hand, were lingering inside the relegation zone with 2 losses and 1 win, a really poor start for a side that has, in recent years, established themselves as a really decent midtable Premiership side. Will the international break change the fortunes of these two sides or will Liverpool maintain their strong start? Never before in the Premiership have they begun with four straight victories, so the record books are at stake too. Brendan Rodgers is obviously used to Swansea from his time there as manager, so certainly knows how to prepare. Both sides are suited to his preferred tic-a-tak style of play and he’s well aware of the strengths and weaknesses of the Swansea players. We should look forward to a good, quick passing game, with both sides pressurising well, particularly in midfield. Swansea have their recent signing, Jonjo Shelvey, back and ready for selection after a knock ruled him out of the recent u21 international. Shelvey will certainly be looking to impress his former teammates and club, so expect a good showing from him. Liverpool are still without Suarez whose ban extends for a further two games. Sturridge, however, is likely to play, and with 11 goals in his last 9 Liverpool appearances, in front of goal he is certainly on fire. It is touch and go whether Kolo Toure will be fit, so maybe we will see some of the new signings in Sakho or Flori, stepping in. Glen Johnson will be out for a further couple of months so will definitely be missed. Last season, at Anfield,, Liverpool inflicted Swansea’s heaviest loss of the season with a 5-0 victory. We can certainly, therefore, perform against the Swans and have demonstrated past capability. It’s a long old journey for the away fixture, however, and the Jacks have a strong support base. Will home advantage spur the Swans to a much needed three points, or will LIverpool maintain their perfect start? If I was a betting man I’d fancy a flutter on a fourth consecutive 1-0 Liverpool victory. 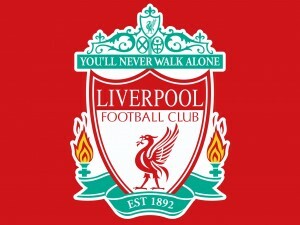 The match will be close and a tough one, but I think that Liverpool will pull through and gain three points with a win. The match kicks off at 8pm and will be televised on Sky Sports.